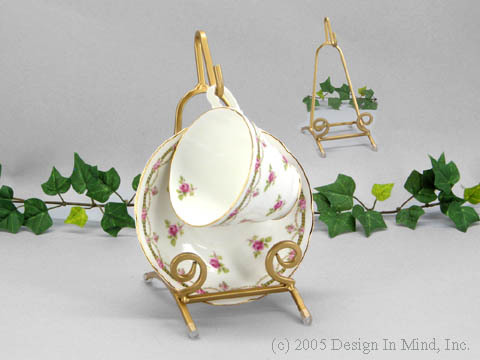 Cup and saucer display stands. 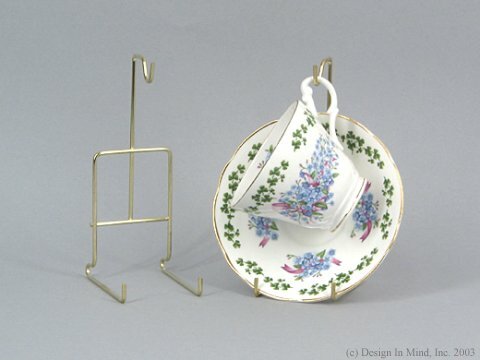 A selection of cup and saucer stands and plate stands. Lacquered brass wire ornament stand with heart shaped base. 7 inches tall. 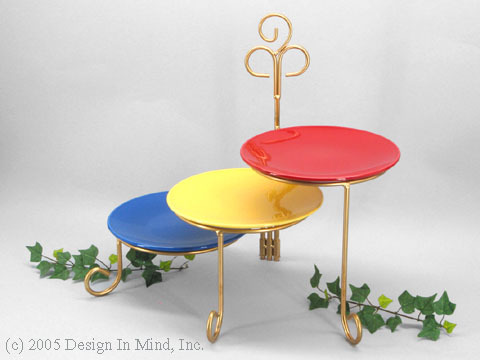 Lacquered twisted brass finish cup and saucer stand. 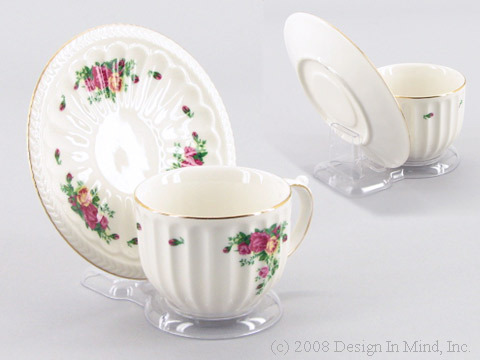 For any standard size cup and saucer. Lacquered brass finished cup and saucer stand. 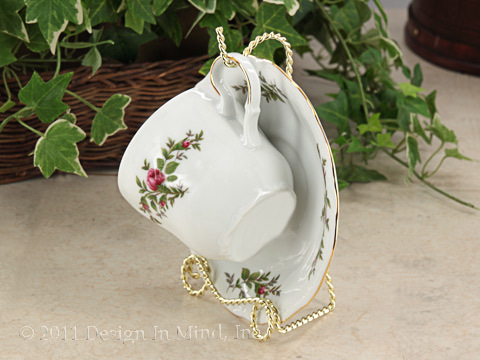 For any standard size cup and saucer. 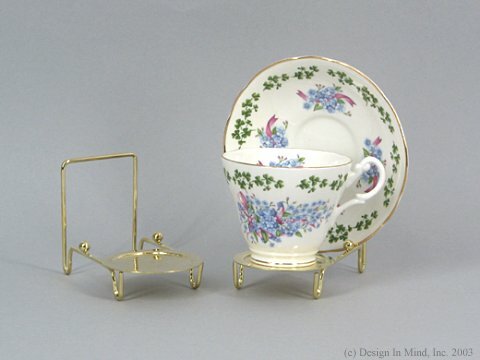 Bright lacquered brass wire cup and saucer stand is 6.75 inches tall. For any standard size cup and saucer. Lacquered twisted brass finish demitasse cup and saucer stand. 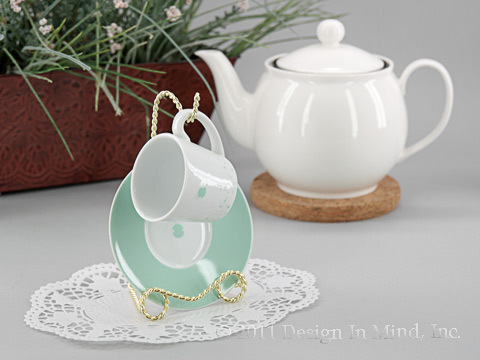 Clear acrylic cup and saucer stand. Fits a standard size cup and saucer. Made in U.S.A.
Brass finish plate holders in two sizes. DTM303 fits plates up to 11" diameter. DTM304 fits plates from 9 - 16" diameter. 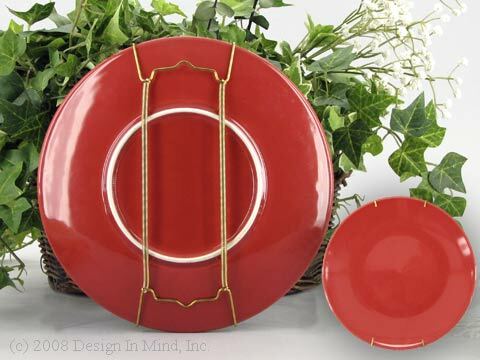 Matte gold finished heavy wire folding plate stand holds 3 standard dinner plates (not included). Unit is 15 inches tall. 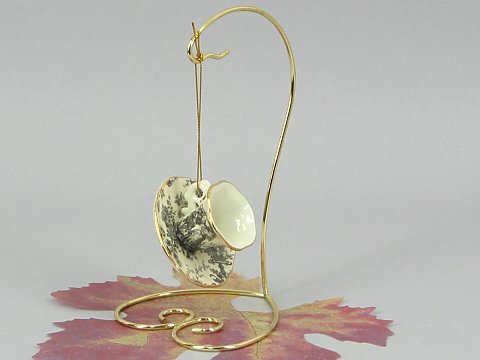 Matte gold finished heavy square wire cup and saucer stand is 8 inches tall. For any standard size cup and saucer.